Say hello to one of my favorite meals. Hiiiiiiii favorite meal!!! You may remember when I first made this dish early last fall, but I recently made it again and now it's time to share the recipe. Last September I was gifted a huge sack of Olathe Sweet Corn from two of my friends. Corn, a pretty random thing to give someone, but they brought it all the way back from Colorado knowing I could turn it into something. Olathe is a teeny tiny town known for their "agricultural jewel," the Olathe sweet corn. I turned my huge sack of corn into Naturally Ella's Corn Cakes with Roasted Zucchini Salsa. It was amazing to say the least. Corn, zucchini, and red onion are some of my favorite ingredients. With summer on the horizon, it was time to make this warm weather meal again. I had to sub the Olathe corn for whatever average corn they had at Target, but it still did the job! The corn is shaved off the cob then mixed with some cilantro, red onion, egg, seasoning and flour to make the cakes. I use whole wheat flour because I like the nutty and denseness it gives the cakes. I used an ice cream scoop this time to measure out the perfect size cakes. Then you just pan fry them in a skillet until brown. While the corn cakes are in the oven, you would have first gotten the veggies in the oven to start roasting them. Once it comes out, lime juice and more cilantro is mixed over the top! Preheat oven to 400˚. Toss cubed zucchini with onion, jalapeño, olive oil, and salt. Roast until zucchini has turned slightly brown, 20-25 minutes. Remove and toss with lime juice and cilantro. While the salsa is roasting, heat olive oil over medium heat in a skillet. Add in onions and cook until translucent, 4-5 minutes. Remove corn from cob and stir in to onions, continuing to cook until corn becomes soft, 4-5 minutes. Remove from heat and place mixture in a bowl. Add ⅓ cup flour, baking powder, egg, honey, lime juice, salt, and cilantro; stir until well combine. Add more flour until mixture pulls together and can form patties. Divide batter in to 5-6 patties. I found that an ice cream scoop measures out perfect sized patties. Heat olive oil over medium heat. Pat in to a thick round disc. Fry on each side for 5-6 minutes until browned. Once out of the pan I sprinkle with a little extra salt. To serve, place a few patties on a plate and sprinkle with roasted salsa and a little cheese! I like to also do a little bit of verde salsa if you have it on hand. Here is a glimpse at my first go around with corn cakes. I added some feta cheese which is what the original recipe calls for. I may have forgotten to get some at the store this time so that's why it got left off...Head to the store or Olathe, Colorado and get yourself some corn so you can whip up this perfect summer meal! Cinnamon veggie bread--I know that sounds disgusting but ultimately that's what zucchini bread is and I just wanted a way to grab y'alls attention. 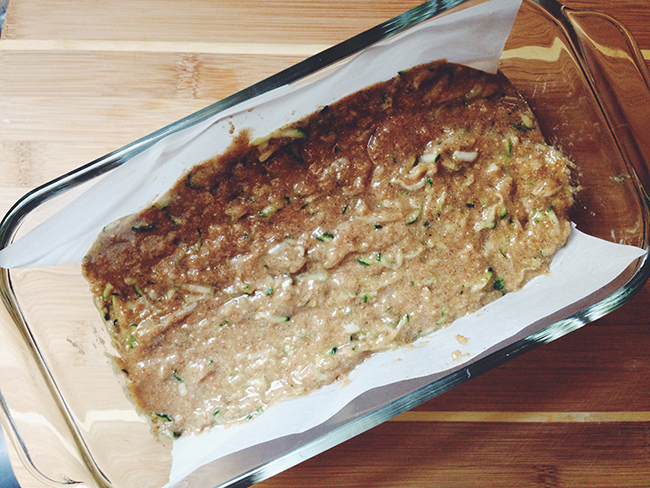 Zucchini bread is kind of like carrot cake. What ultimately tastes like a flavorful spice cake actually has vegetables and added nutrients hiding inside! 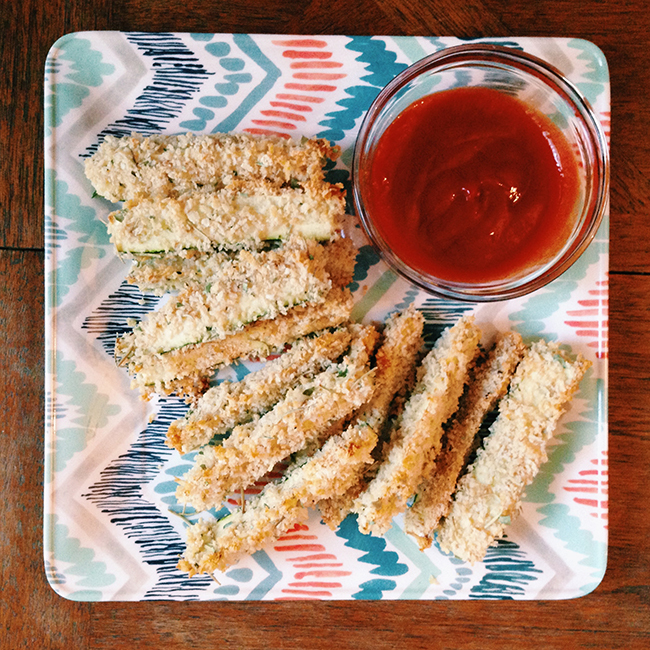 I love my veggies, but love them even more when they are baked up with sugar and flour! After having the best zucchini bread of my life this summer from Baked and Wired, it went straight to the top of my baking list. I raved about this bread so much I was surprised with a platter full of their zucchini bread at my internship going away party. I searched around to see if Baked and Wired had their zucchini bread recipe somewhere out in the Internet world, but they seem to have their recipes locked up. I then turned to my trusty food resource, The Kitchn to find an alternate recipe. If you ever need to find a recipe, a way to cook certain ingredient or want to know what's new in the food world, check out The Kitchn. Heat the oven to 350 degrees. Grease or line two 8 x 4 loaf pans with parchment paper. Trim the stem and root-end form the zucchinis and shred on a box grater. Gather the zucchini in a dishtowel or a few layers of paper towels, squeeze out as much of the moisture from the zucchini as possible. Combine the flours, baking powder, baking soda, and spices in a large mixing bowl. In a separate bowl, whisk together the eggs, sugars, olive oil, and vanilla extract. Toss the zucchini in the flour mixture. Pour the liquids over top. Gently stir and fold just until no more flour is visible. Divide the batter between the two loaf pans. Bake 45-50 minutes, until a toothpick inserted in the middle comes out clean. The finished loaves should have a golden-brown crust and feel springy if you give the top a little pat. Let them cool in the pan for 10 minutes and then turn them out onto a wire rack to cool completely. Loaves will keep in an airtight container for several days. They can also be wrapped in foil and frozen for up to three months. Thaw in the fridge overnight or in a warm oven for 20 minutes. *I halved this recipe and it still turned out great. After my loaf disappeared in a few short hours I wish I hadn’t, but just know that you can half it!